1. Mix all★ ingredients well in a bowl. 2. 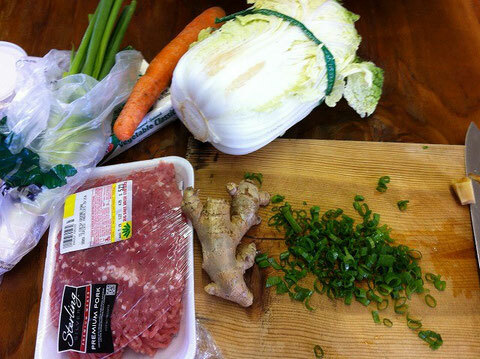 Cut Chinese cabbage and shred ginger. 3. Fry shredded ginger with a salad oil. Then add hard part of the cabbage first then fry rest of the cabbage. Add a little Sake. 4. Add water (4.2 cups or 1000cc), Chicken Flavor Granulated Bouillon (1.5 tbs) and then boil. 5. 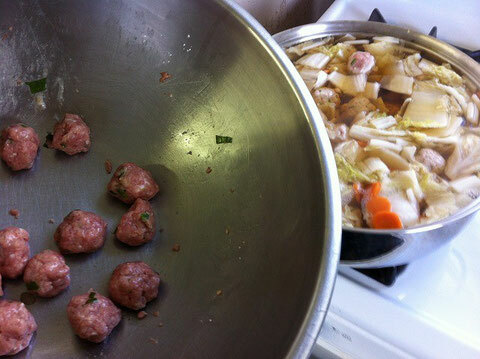 After boiling, add meatballs into the soup. 6. Continue to boil until meatball would be well cooked. 7. Adjust the taste of the soup by adding salt and soy sauce. Add gelatin noodles. 8. 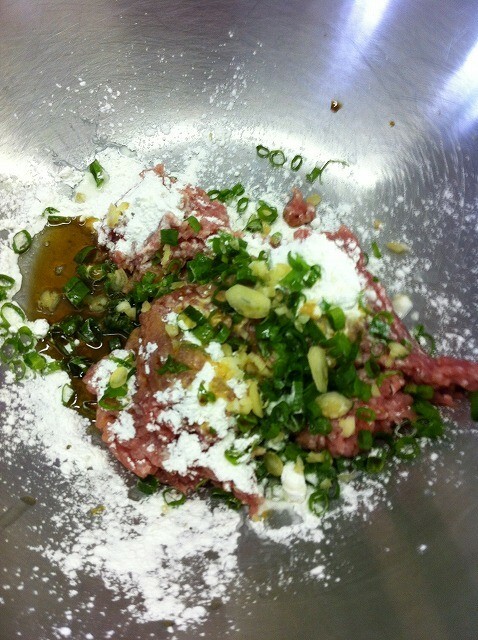 Add sesame oil (1tbs). 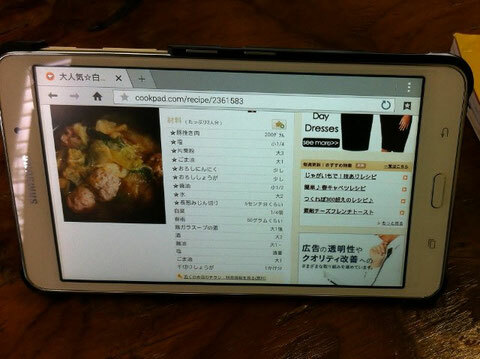 This recipe above is according to the cookpad. I changed the way to cook the soup. 2. Cut a whole Chinese Cabbage and one carrot. 4. After boiling, add Nikiri dashi (200ml) and continue to boil. 5. Make meatball and add in the soup. 6. Adjust taste of the soup by adding some concentrated soba Soup. The reason why I used soba soup was because this soup would be noodle soup for the next day. I made plenty soup at a time so that I could save time of cooking. Hopefully, on the third day, this soup can be Zosui or Japanese rice soup! One dish can be three ways of dishes.....This is what I am trying to do. On Sunday, I'll make Sushi! If you live or stay on Kauai, please come to the Sunday Service which start at 10:30 a.m.